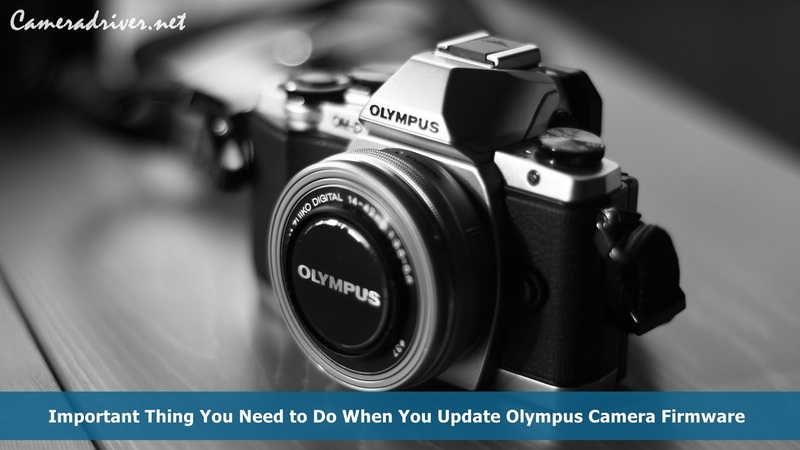 Important Thing You Need to Do When You Update Olympus Camera Firmware - Olympus is one of top camera brand that produce many series and model of good quality camera. And, like other camera product, it’s a must for every owner to treat the camera, so it can work well. One of them is by updating its firmware. When you want to update Olympus camera firmware, you can always go to their official website. You will find detail information and step-by-step tutorial of how to update its firmware. However, first, you need to know few things before you update it. Firstly, find out your current firmware status. Usually, you can do it by using menu feature on your camera. At there, you can find menu where you can see your camera information, including the firmware that your camera are currently using. Match it with the firmware version on Olympus website, and you can find information about your firmware. Of course, if you find that your current firmware is old one, you can update it with the latest one. Just make sure your camera has been fully charged, because the updating process will take few minutes. You can do this once every few months. Usually, Olympus releases their new firmware update in this period of time. Or, if you don’t want to be bothered by this process, you can install Olympus Digital Camera Updater app. this application is very useful. It can detect and tell you the status of your firmware, so you don’t need to do complicated process like mentioned above. More than that, this application also can update your camera in scheduled date. This will make your firmware always keep updated, so you won’t miss any new enhancement or feature that Olympus release through their latest firmware. Now, you don’t need to worry anymore, if you want to update your Olympus camera firmware. 0 Response to "Important Thing You Need to Do When You Update Olympus Camera Firmware"